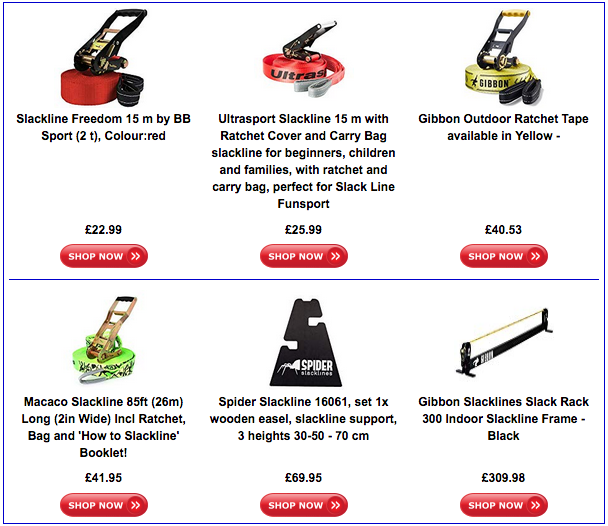 In this article we summarise the different types of webbing used in the sport of Slacklining. This guide will hopefully allow you to be better informed when choosing what type of webbing to buy. This kind of line will provide enough grip under foot to help improve your balance, while the shorter length gives you the potential to feel some of the tension a slackline can offer without knocking you off your feet before you even got going. If tricks are your thing, the extra width on these novice webs will provide you with more chance of landing your jumps and flips. But as you get more skilled in the sport, these sort of widths may start to feel too heavy. Ultimately, the type of webbing you choose to buy is going to be influenced by your own preference under foot, and your budget. Usually, a trickliner is going to want a line with more grip to ensure maximum friction for landing and more stretch for the ultimate dynamic lift. But when it comes to longlining, any cost you can save in the width can mean more yards of length in the final purchase, and with a narrower line comes a much more exciting ride. Strength and flexibility in the line is key to Slacklining. You want your web to be able to move with your weight and give you comfort under foot, but you certainly don’t want something that is going to degrade after a few weeks of use. Basic webs that are less like to wear quickly and offer solid support come in the traditional man made materials of nylon and polyester. 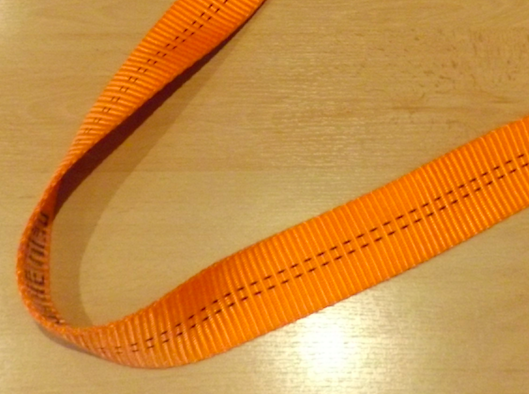 These types of line are cheaper to make, creating a much more cost effective product that is then cheaper for you to buy, and they can easily be manipulated into whatever style of webbing you like. By far, Nylon lines have more stretch than any other type of product which gives each line far more character. Their robust qualities make them ideal for longer lengths or heavy tricking, and even with their strength they can be incredibly lightweight. But on the less attractive side, these type of manmade materials can be harder under foot and don’t provide as much variation as some of the more high-end lines, but they still provide one hell of an experience. If you want to go to the other end of the scale then Silk has to be the material of choice. Super smooth but still beautifully strong, put this baby in a nylon tubular and you have a line that is super tough. For long liners, Spider Silk is like walking on air and, with the power to support, it’s the ideal material for dedicated high liners too. Different widths give you the ultimate slack experience. But to get the most from this webbing you have enough yards. And if you can’t afford the length, then it’s much better to go for a cheaper line and get the full blown effect. Yes, the more organic materials are going to wear slightly quicker than the man made materials, and they are not so resilient to poor weather. But the difference it can make to your performance can be simply incredible. Undoubtedly the debate over which webbing is best is going to go on forever. As you would expect from its name, a tubular web is weaved into a tube shape which can either be used as a Slackline in its own right, or as a casing for another line. The benefits of the tubular style are the fact that the edges are rounded, offering greater flexibility and dynamism to the line. This allows far more slack than the flat web. But that does mean it needs extra force to achieve the same level of tension. The rounded construction makes this type of web better for barefoot walking. And because of the rounded edges it can last longer, as there are no loose sides to get stressed in the tensioning system. For extra bounce in tricks, the flat line web is going to be more your thing. The flat construction offers a greater landing space, it is easier to get tensioned and even rolls up smaller when not in use. But at the same time, the flatter surface can be harder on your feet, there’s less flex in the rope and the sharper edges can be more subject to wear and tear. Ropes can be made of a single product or you can opt for a threaded line which uses different raw materials to create individual characteristics to suit your slacklining experience. These threaded lines have one or more webs threaded inside another and consequently are incredibly strong. Perfect for situations where you really need peace of mind that your line is strong enough i.e when high lining. When it comes to webbing, there is something for everyone, so give as many as you can a try, choose your preference and get Slacking!